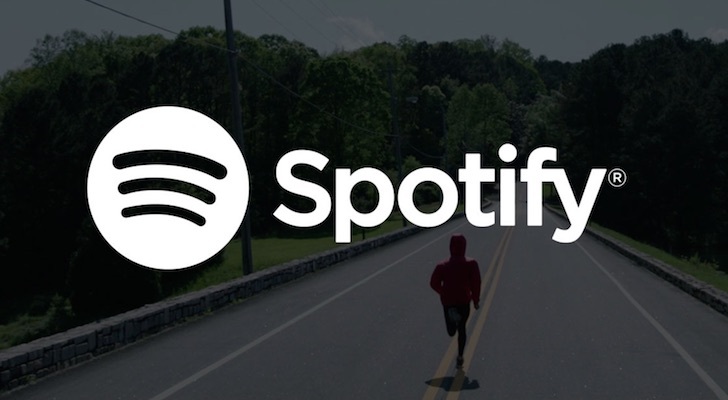 Spotify (NYSE:SPOT) surprised investors on multiple fronts. The popular streaming music service beat estimates by reporting its first-ever quarterly profit. It further defied expectations by using much of this profit to purchase two firms involved with podcasting. Unfortunately for SPOT bulls, Spotify stock fell following this news. This move leaves investors with the question as to whether prospective buyers should invest in Spotify’s new direction. Given this lack of clarity, I believe investors should wait before going into SPOT stock. Yesterday, SPOT released its fourth-quarter earnings report. Spotify’s revenue came in at $1.7 billion, falling just shy of the $1.71 billion analyst estimate. It shows a substantial increase from the $1.36 billion revenue figure from the same quarter last year. However, investors still sold off the equity on that news. On a happier note, SPOT announced it had earned its first quarterly profit. The company earned 41 cents per share, about $502 million. Analysts had predicted a loss of 22 cents per share. SPOT has fallen by more than 7% over two days following this revenue loss. Analysts also expect SPOT stock to revert to reporting quarterly losses for the next several quarters. Hence, forward guidance left investors with few financially based reasons to cheer. However, some potential for a turnaround lies with how the Stockholm-based company put some of those earnings to work. Spotify purchased a broadcasting studio called Gimlet Media as well as Anchor, a creation app. Although Spotify did not release the cost of these purchases, Gimlet was rumored to have sold for $230 million. Currently, 90% of Spotify’s income comes from premium services. Ad revenue constitutes most of the remainder. Still, this could face threats from Spotify’s lack of a discernible moat. SPOT now competes with much larger firms such as Apple (NASDAQ:AAPL), Alphabet (NASDAQ:GOOGL, NASDAQ:GOOG), and Amazon (NASDAQ:AMZN) in music streaming. Yes, Spotify has become one of the world’s largest streaming services. However, it achieved this using content produced by others. Now, larger players have copied this business model. These big players are mega-cap stocks with tens or hundreds of billions of dollars in cash. Spotify stock stands as barely a large cap that reports a rare quarterly profit. To Spotify’s credit, pivoting into podcasts allows for the creation of original, proprietary content. In this area, its peer Sirius (NASDAQ:SIRI) has created programs, some of which have gone on to critical acclaim. Now, Spotify could follow the same path to success. If Spotify creates podcasts that attract listeners, SPOT stock will almost certainly benefit. However, with this move, Spotify begins its transition from music streamer to podcast content provider. These podcasts could determine whether Spotify survives long term or if it gets swept aside by big tech. Spotify stock investors face a great deal of uncertainty following the purchase of Gimlet and Anchor. To be sure, SPOT defied expectations by reporting a profit at a time when most everyone had expected just another loss. The subsequent selloff likely came about due to its revenue miss and not other factors. Still, it is the “other factors” that may become important going forward, namely the move into podcast production. Competition from the biggest names in tech looms over SPOT. As a smaller music streaming company, it will likely struggle to survive. However, as a content creator, it has a chance to offer what its competitors cannot match. The long-term success of Spotify probably stock hinges on that content. While I feel that makes SPOT too uncertain to buy, it at least positions the company to avoid a near-certain failure. Article printed from InvestorPlace Media, https://investorplace.com/2019/02/earnings-report-spotify-stock-improvement-uncertainty-simg/.